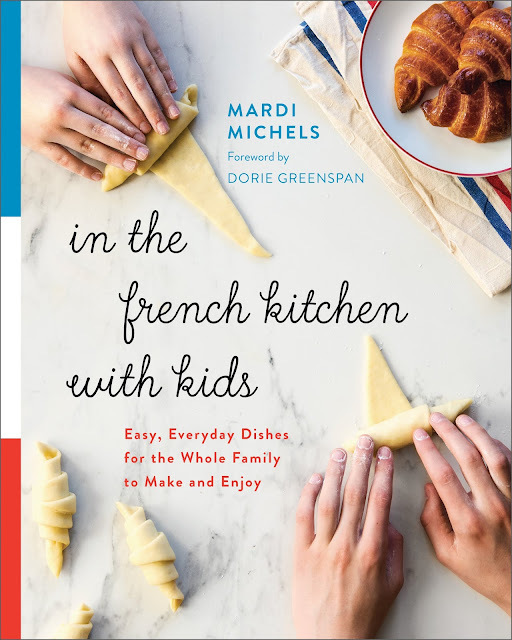 Congrats to the fabulous Mardi Michels, whose book In the French Kitchen with Kids released on Tuesday! You don't have to be a kid- or even have to have kids- to enjoy her luscious, mouth-watering recipes. You just need to like French food and have the desire to cook it! Plus, the photography is absolutely stunning! Seriously, there is something for everyone! I was lucky enough to be a recipe tester and made three delicious meals– Shepherd's Pie (Hachis Parmentier), Beef and Carrot Stew (Boeuf aux carrotes), and Pork Chops with Apples (Côtelettes de porc aux pommes). From sweet to savory, the recipes are uncomplicated, easy to follow, and they all come out perfectly tasty! Tasty! Tasty! I had the chance to meet Mardi for lunch at her home in France last year, where she made me a lovely tarte salée (roasted tomatoes). 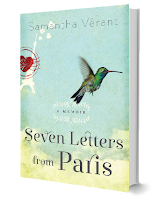 At any rate, she is as warm, kind, and funny as her sweet recipes. So go, go, go– grab your copy of In the French Kitchen with Kids today! You'll be happy you did. Miam-miam-miam. 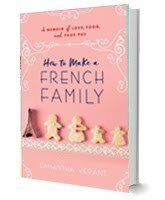 For more about In the French Kitchen with Kids, and where you can buy it, click HERE.